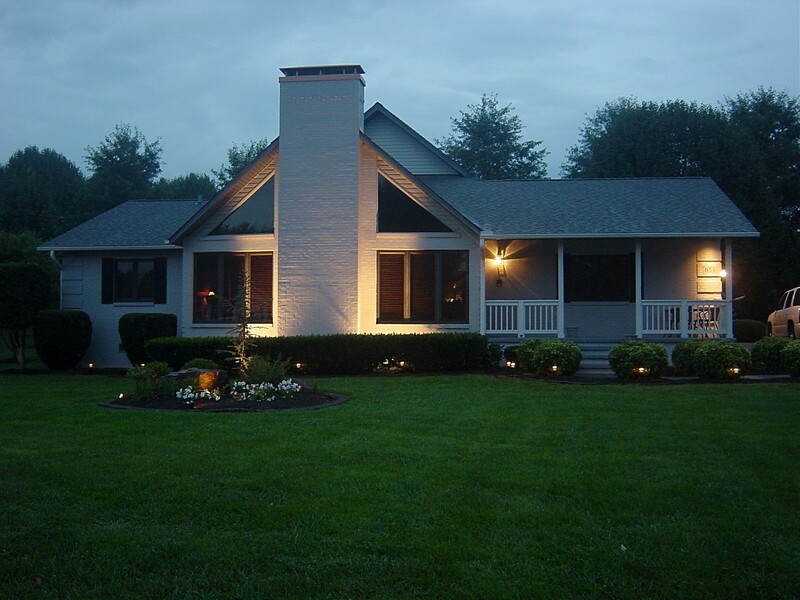 Installation of lighting to enhance this home’s unique exterior. 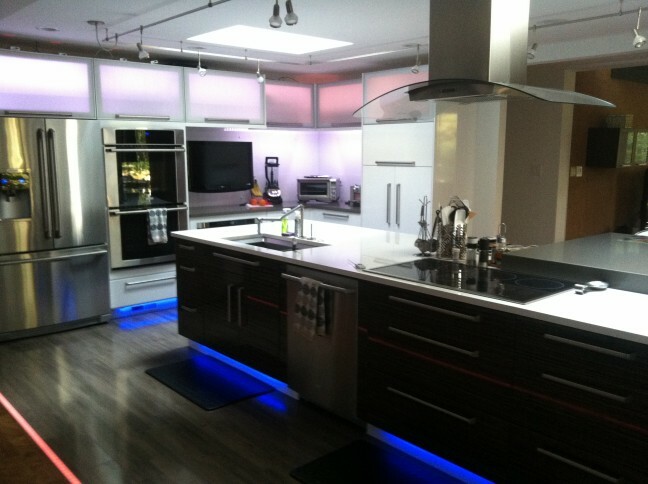 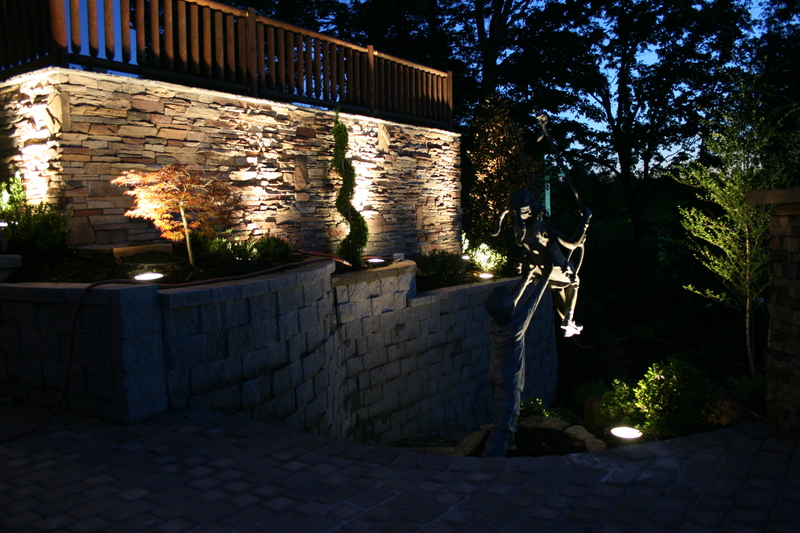 Very unique accent lighting for a client. 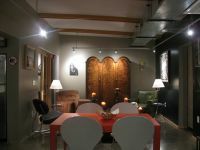 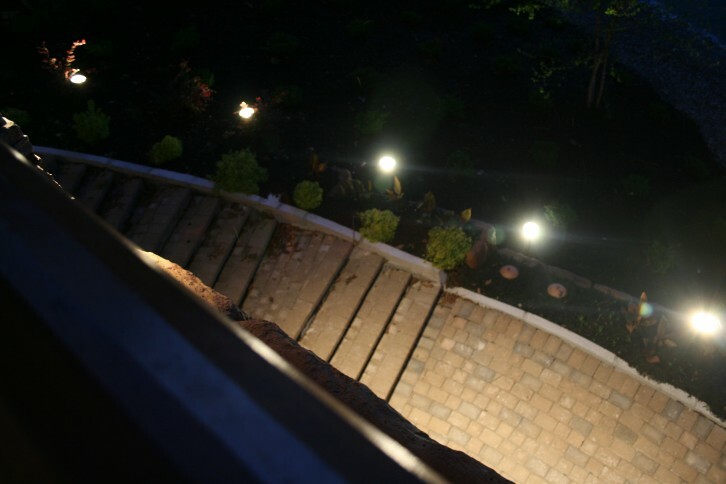 Simple lighting can be effective even in the largest of spaces. 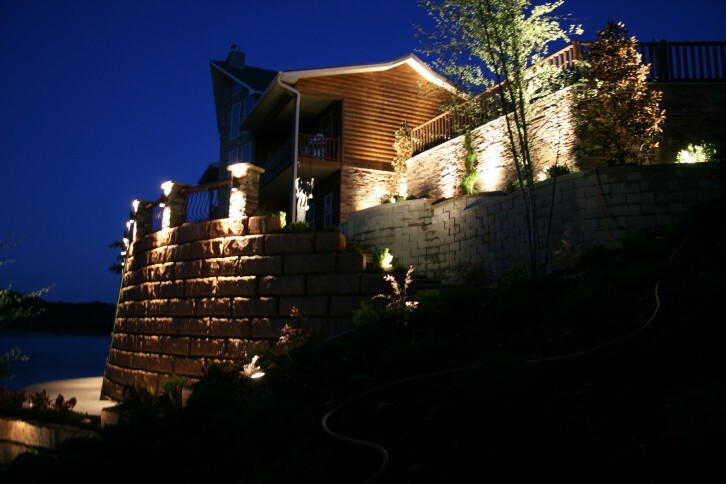 Accent in-ground lighting highlights the property’s hillside. 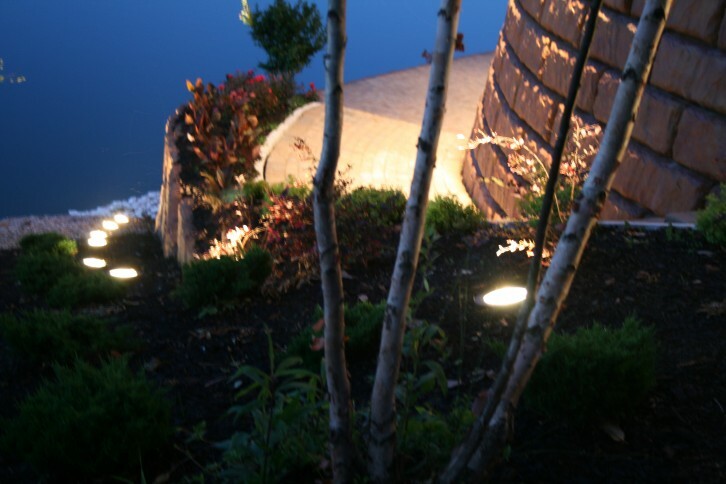 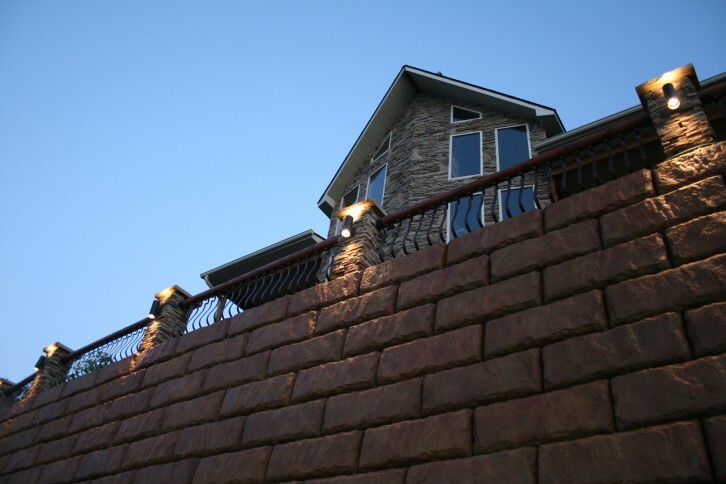 Trees, shrubs, planters, and sculptures are all features that good lighting design will showcase at night. 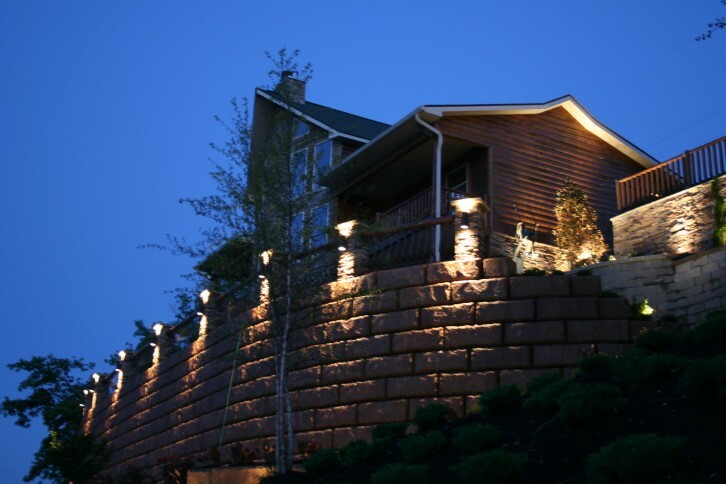 Brick, stone, and log, all highlighted by lighting. 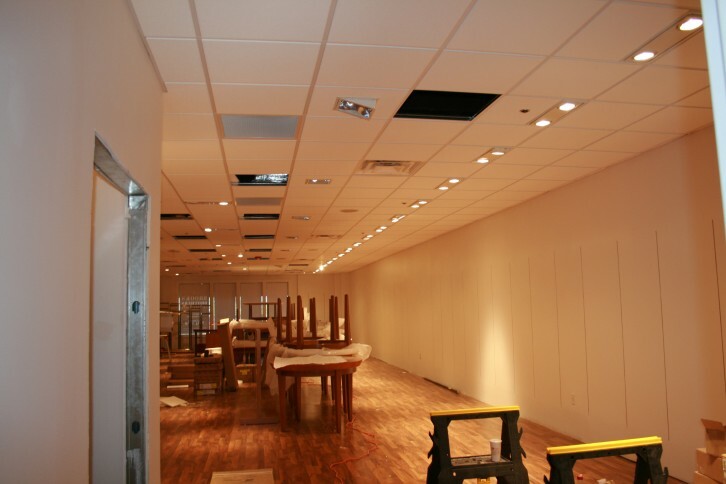 Updating a retail space for new tenants. 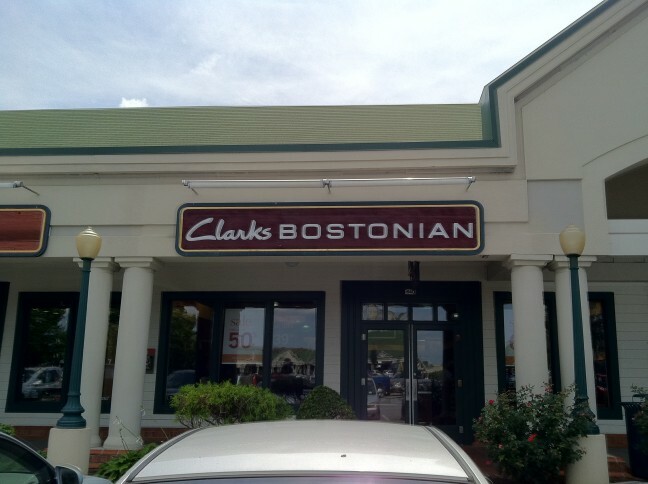 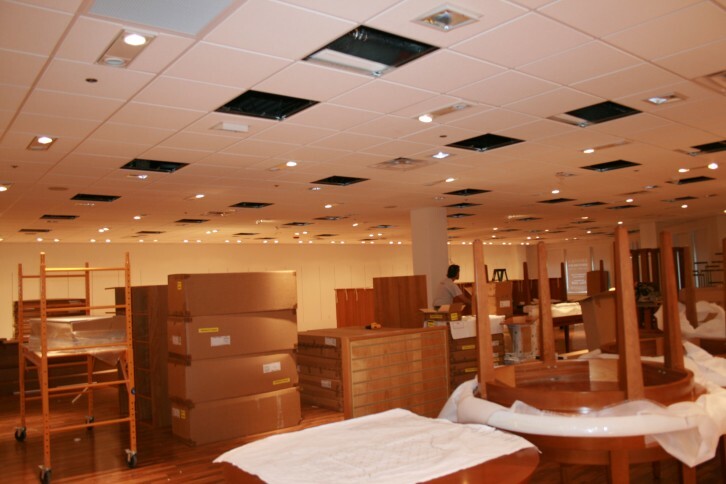 The rough stages of one of our retail store remodel projects. 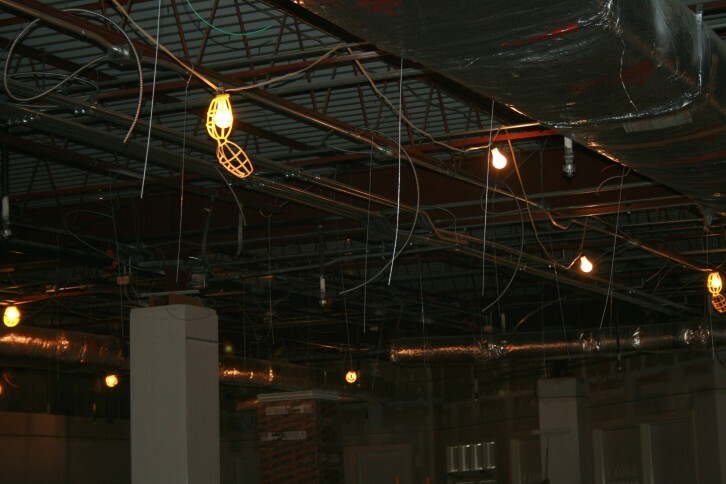 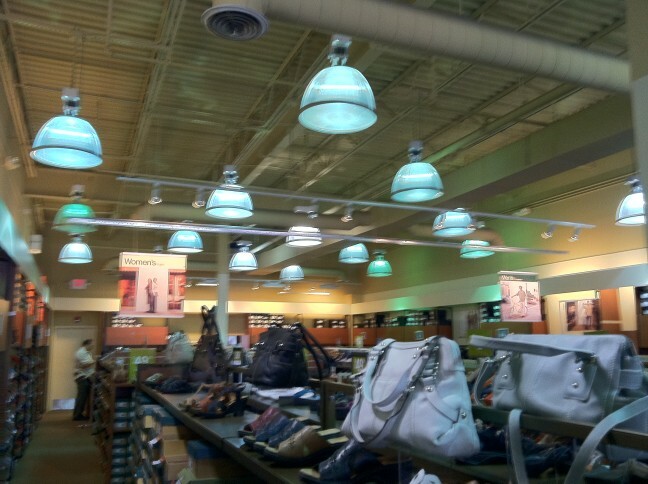 Overhead lighting remodel for a retail store. 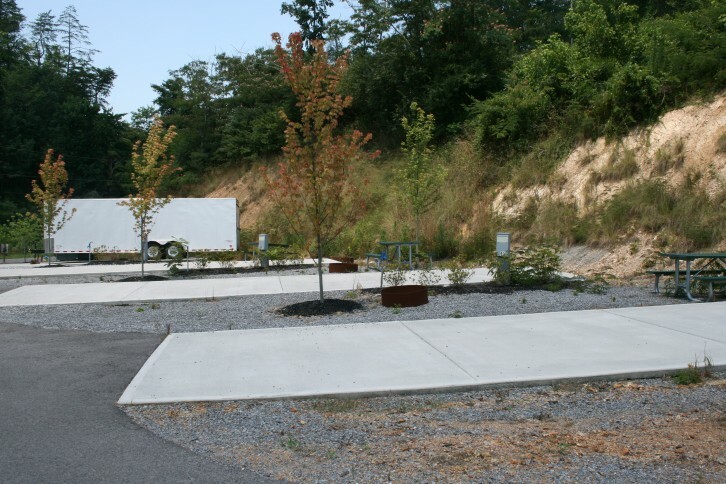 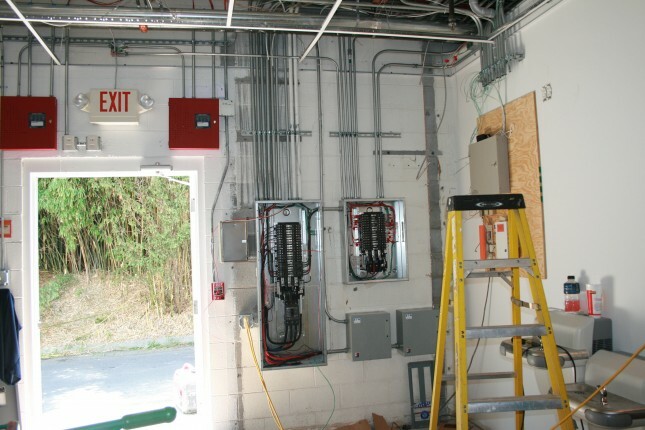 Installation of electric to accommodate a new RV Park. 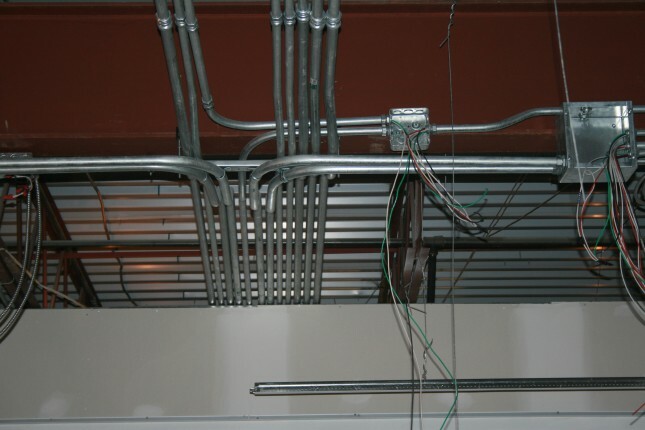 Commercial building electrical panel addition. 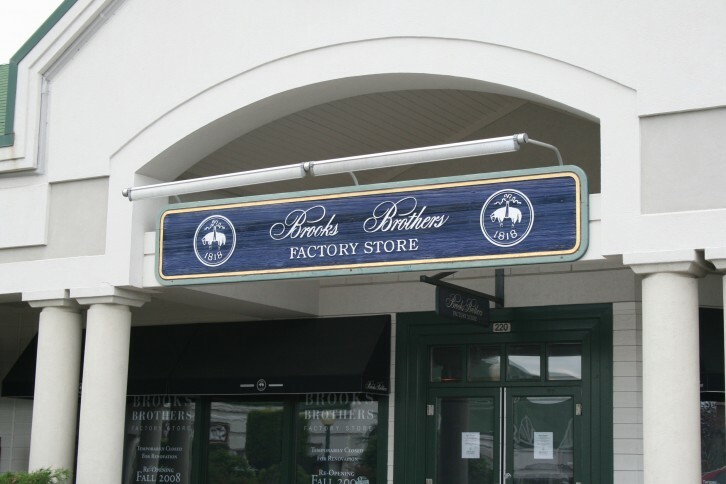 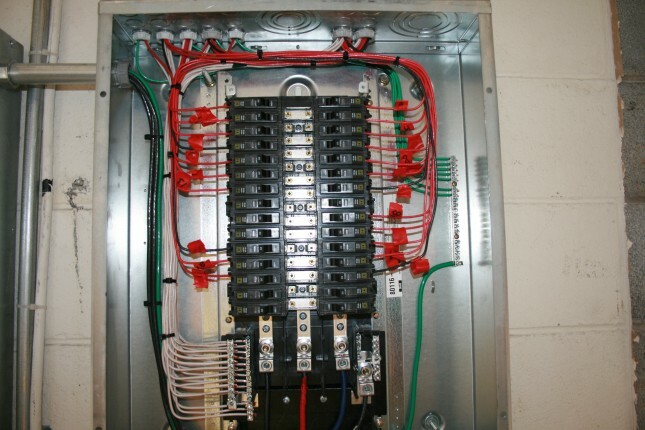 A commercial electrical panel addition to a retail space.